Our big trans continent holiday was almost over. 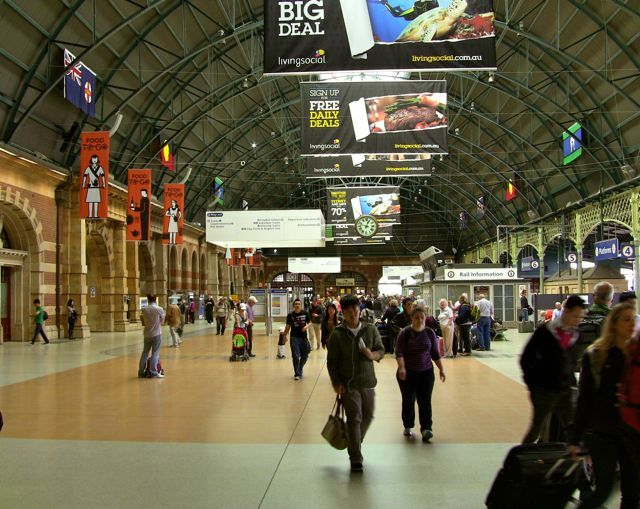 The Indian Pacific Train pulled into Central Station in Sydney. Before flying home to Brisbane we visited our daughter, Carol-Ann and David, who live in Sydney. After a sleep in a real bed and a shower in a real shower (compared to the ones on the train) we were taken to lunch at Doyles famous seafood restaurant at Watson's Bay. We could see all the way down the harbour to the city of Sydney. Carol-Ann took a few days off work and she took us on the ferry to visit Government House. This is how Carol travels to and from work everyday. Unfortunately it was a grey day but the harbour is still beautiful. The first Government House was built of canvas and timber for Governor Arthur Phillip, who brought the first fleet of convicts to Australia in 1788. The Governor is the Queen's representative in the colonies now called the Commonwealth countries. In 1837 this new one was built. It was supervised by architect Mortimor Lewis and Colonel Barney. 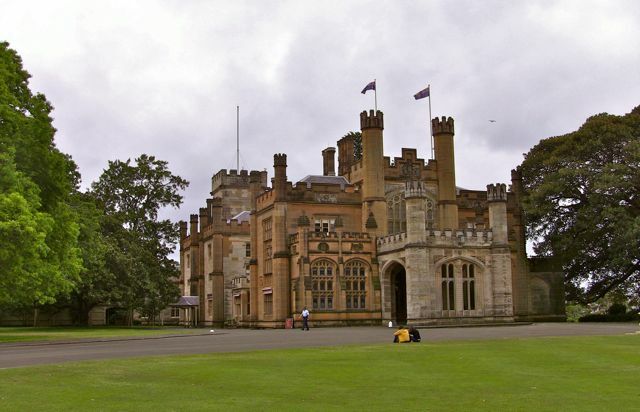 It was designed in the Romantic Neo Gothic Revival Style-castellated, crenellated and turreted. 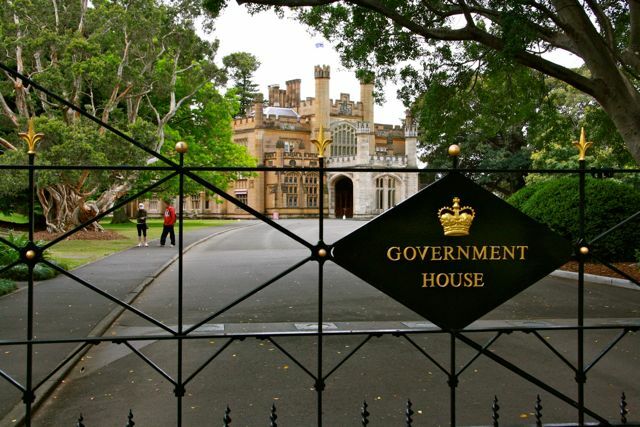 The Governors of NSW have lived and worked there ever since except for a few times when there was controversy over the pomp and ceremony involved. Royalty stay there when visiting Sydney. We went for a free guided tour, it was very majestical inside but no photos allowed. ....close to the Opera House. Government House has five hectares of beautiful gardens. After a few days it was time to say goodbye to our children and fly home to end another great Adventure in Western Australia, South Australia and New South Wales. Oh Diane! 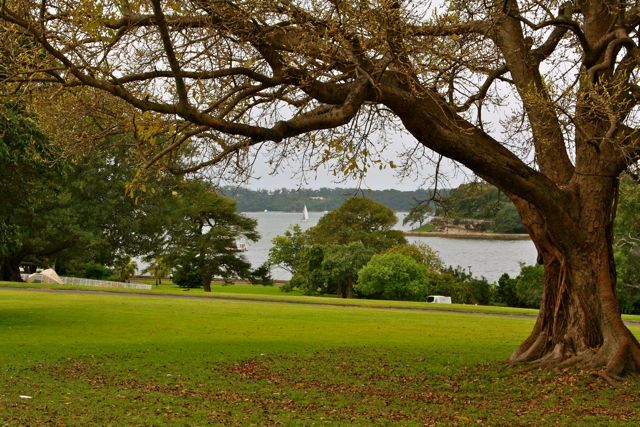 Thank you for these photos of Sydney, some of which I have seen, but others like the Government House are new. Yes the Aborigines suffered a lot, but they are lovely people(most of them).They are not revengeful and treat me like family, because my daughter was married to one of them. She got divorced, however. I love Central station - it feels me with dreams of adventure. I reckon Doyles is an overrated fish and chip shot. I loved the photos of Sydney. It is wonderful for me to be able to see these pictures as I am currently looking through the guide books wondering which areas of Sydney I must visit when I arrive there in Sept.
Diane, wonderful series and tour. Your daughter does have a gorgeous view. The ferry ride looks like a fun way to go to work. Thanks for taking me along on your visit. Have a great day! 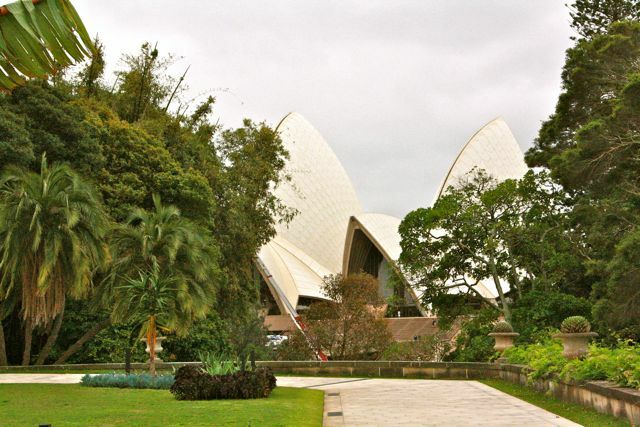 The photo's of Sydney are beautiful, I like the one you made of the Opera House so hidden behind the green of the Botanical Garden. I've never seen a photo of Government House. I hope it was much nicer inside than its rather ghastly hotch potch exterior. It has been especially lovely seeing Sydney through your lens, since our son is currently in Sydney on contract (he's a Computer Engineer) and recently sent us a picture of both Government House and the Opera House :) He's planning to go by ferry to Manley this weekend for a look around. It's been raining a lot since he arrived just a fortnight ago as you have no doubt heard from Carol, but it's expected to be fine and sunny for the weekend. That is a particularly beautiful view from the apartment - could gaze at it for ages! i like the castle like goverment house and the view from the window is incredible. central station is a lot ike the one in Savannah GA that we used to get on the train when i was a child. What a view your daughter has. And her daily commute isn't bad either! The kids have a super view and that Government House is quite the bit of building - wowsa! I bet the gardens are just lovely - I can almost smell them. It's been wonderful to share another trip with you Diane. these views of Sidney make me want to book a flight there soon...I suppose it won't be until I win the lottery though...Have a wonderful week! Lovely visit with your kids! You could post the view from their apartment every day and I wouldn't tire of it -- so lovely. And what a wonderful way to commute she has! The governement House looks very special. I hasd never seen Sidney as a stopover place. For Europeans it is most of the time the end destination and Singapore is the stopover. Obviously the staff at Central Station must have known you were arriving! That is the cleanest I have ever seen that concourse! And please stop torturing me by showing photos of Doyles! You know how much I love seafood and Doyles is the best of the best! 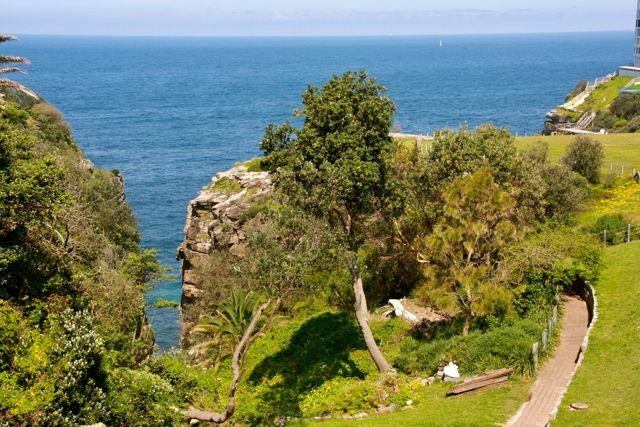 Great photos of Sydney - especially the view from Carol and David's apartment. Doyle's is not bad but The Lighthouse Restaurant at Cleveland and Morgan's at Scarborough near Brisbane are just as good. I agree with Joan, Doyle's is overrated. Hmmmmmmmmm! "Doyles at Watson's Bay"
Well, as I have never been there, but have always had great intentions of doing so, I really cannot comment. 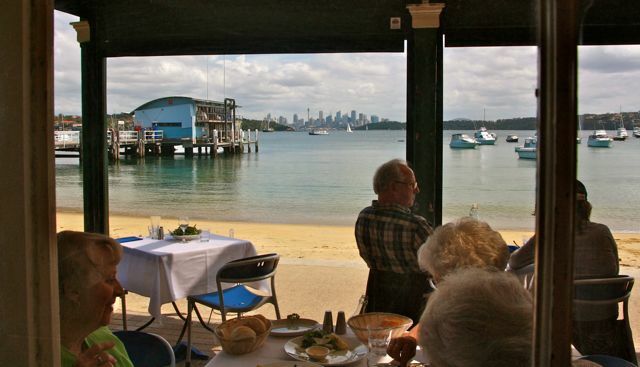 However, Doyles at Watson's Bay has been there since 1885 and five generations of the family have run it. I have never heard a bad report! 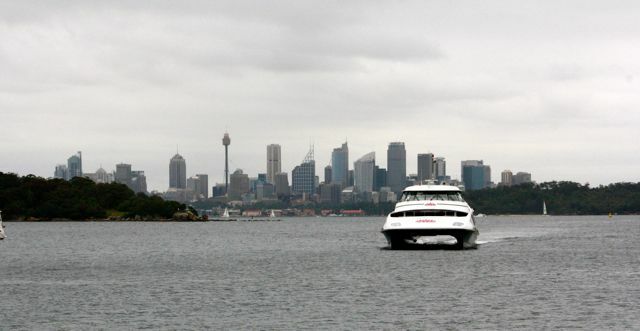 It is considered an eating "icon" of Sydney and look at the view - Sydney Harbour. OVERPRICED - WELL MOST LIKELY MAYBE??? Anyhow next Sydney visit, I will go there, before anything else - I promise my "dearest sister" of the unbiological grouping - ha ha! Almost makes me homesick...Lunch at Doyles, now that is a special treat! My last lunch there was about 28 years ago. I loved the beautiful Sydney harbor, Diane. It sounds like this trip was a wonderful experinece but I'm sure you felt happy to see you daughter and son-in-law for a few days at the end, and then return to "Home Sweet Home" full of happy memories! Diane, your photos make me want to visit Sydney so much! 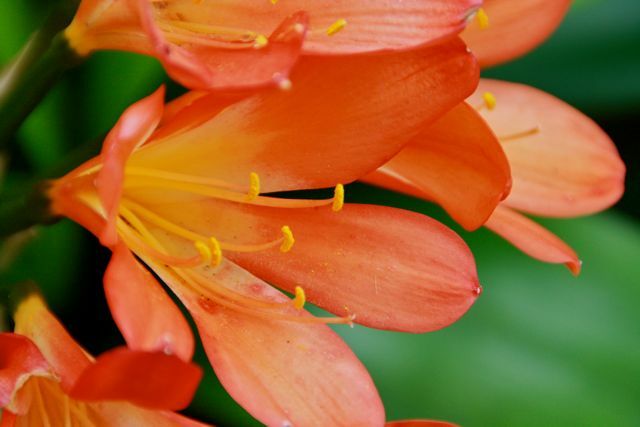 The botanical gardens are a destination very near the top of my "Must See" list. Now I will add the Government House gardens to that list. Government House in Sydney (1837) was clearly built to be large, impressive and suitable for royal or vice regal visitors. It compares very well against the vice-regal residence in Canberra (1925). Even though you might argue that Canberra came much later and that Federal was more important than State, Yarralumla looks a bit cobbled-together. When I saw the Sydney Central Station I first thought I was in Frankfurt when I travelled alone 8 yrs old from Bonn to there, where my Grandpa picked me up ! The Government House looks very british, of course, lol ! What a beautiful building this is. I've spent time catching up with your travels this morning. Although I don't have the time right now (while here in NZ) to look and comment as much as I would like, I so enjoy following your travels and seeing what you see. Also, I appreciate you keeping track of me 'across the ditch'! The government house/castle is spectacular. Wish we could have seen inside. Colin believes I have a fixation with fences so he won't be surprised to see that I have taken notice of the ironwork and it's gold finials. Beautiful views... thank you for the photos. Makes me want to take a trip to Sydney. I like that view of the opera house from the back garden of Govt House. I shall have to try that one day. Yes Julie you are right. Once when waiting after booking baggage through on the SYD/MEL "XPT" ( the train journey to and from hell) to Cootamundra, I saw police and security swoop on what looked like a back-packer taking photos! The young person was marched off to an office! You, Julie, might have been lucky that you were not marched off for a "please explain yourself" session. Maybe you have an innocent look about you? ha ha. I really liked your blog! Lovely posts! Keep up the good work! How to file bankruptcy in NY. Beautiful pictures, I would love to visit Australia, but it is too far from Rome! No stone unturned in Sydney for you - looks like you got to go to ALL the hotspots!!! A great end to a fun trip - for us as well!! Your daughters ocean view is really gorgeous!! !